Facilitation is often referred to as the new cornerstone of management philosophy. With its focus on fairness and creating an easy decision making process. Creating a comfortable environment through better facilitation will give participants a better understanding of what a good facilitator can do to improve any meeting or gathering. This facilitation skills e-learning course can help any organisation make better decisions. 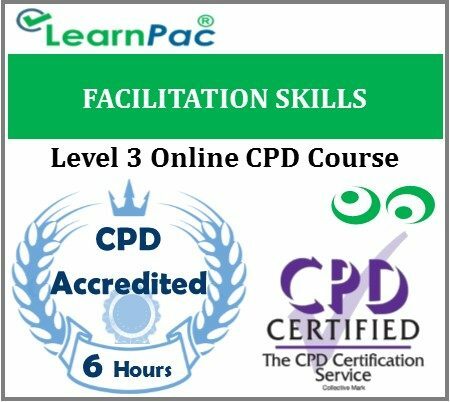 This elearning course will give participants an understanding of what facilitation is all about, as well as some tools that they can use to facilitate small meetings. A strong understating of how a facilitator can command a room and dictate the pace of a meeting will have participants on the road to becoming great facilitators themselves. Facilitation is used in business and organizational settings to ensure the designing and running of successful meetings and workshops. Neural facilitation in neuroscience, is the increase in postsynaptic potential evoked by a 2nd impulse. Ecological facilitation describes how an organism profits from the presence of another. Examples are nurse plants, which provide shade for new seedlings or saplings (e.g. using an orange tree to provide shade for a newly planted coffee plant), or plants providing shelter from wind chill in arctic environments.